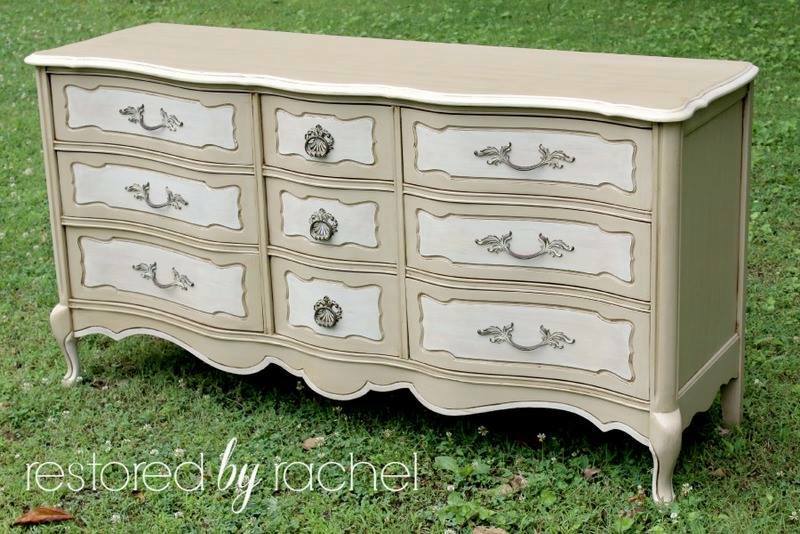 Marvelous Millstone and Antique White French Provincial piece by Restored By Rachel! All the goodness was sealed in with our High Perfomance Topcoat in Semigloss. Aren't those curves to die for?